As a green, health-conscious city, Seattle is a great place for those with food allergies and dietary restrictions. Many of the city’s citizens are in the same boat and are thus considerate to others’ culinary preferences. In particular, whether you’re eating healthily, following a fad, or have Celiac disease, Seattle has you covered with gluten-free food. Razzis Pizzeria offers four menus: traditional, gluten-free, vegan, and a combination of both gluten-free and vegan. They were inspired to expand from their regular menu when customers and loved ones developed intolerances, keeping them from enjoying the pizza they used to love. They use local and organic products where possible and handcraft baguettes and pizza dough in their Certified Gluten-Free Bakery. On top of that, they work hard to be environmentally conscious by using all-natural, non-toxic, biodegradable cleaners. Their second location is in Greenwood. The Flying Apron Bakery’s philosophy focuses not on what people can’t eat, but on the new possibilities that vegan and gluten-free recipes can provide. 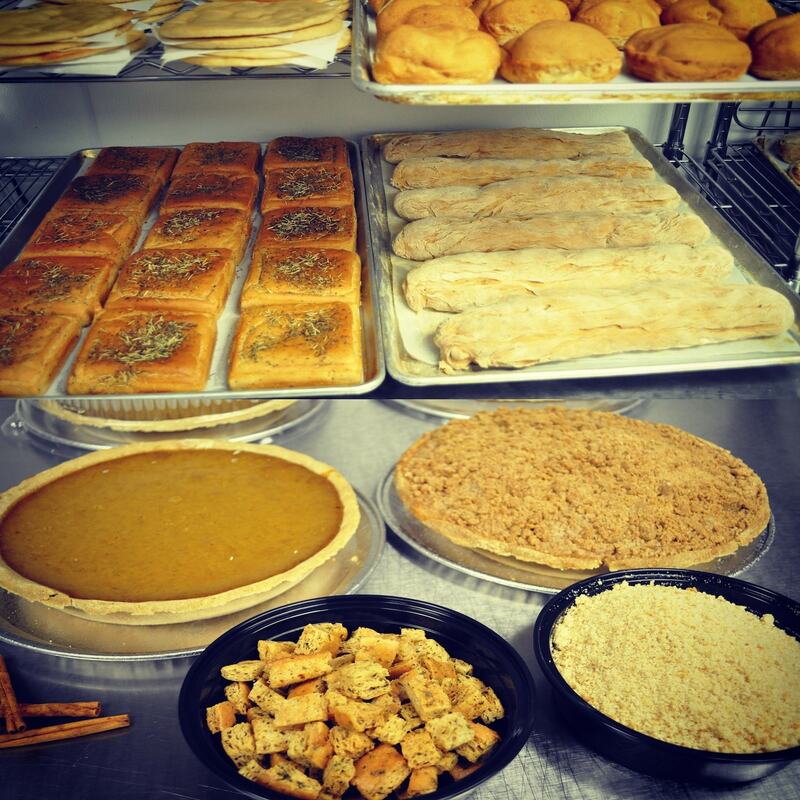 They bake sweet treats, such as pies and donuts, as well as savory products, including lasagna and curry bowls. They offer “feel good food”—even bread—all of which is vegan and gluten-free! They’ve been making everything from scratch daily since the beginning of their first small location to their current two bakeries and their wholesaling to over 150 places. Good morning Flying Apron fanatics! Don't forget to come on by for all your Easter needs! We have packs of cinnamon rolls and hot crossed buns just waiting for you! I Love My GFF (Gluten-Free Food) started in 2012 with the goal of making healthy, energizing food quick, delicious, and accessible. 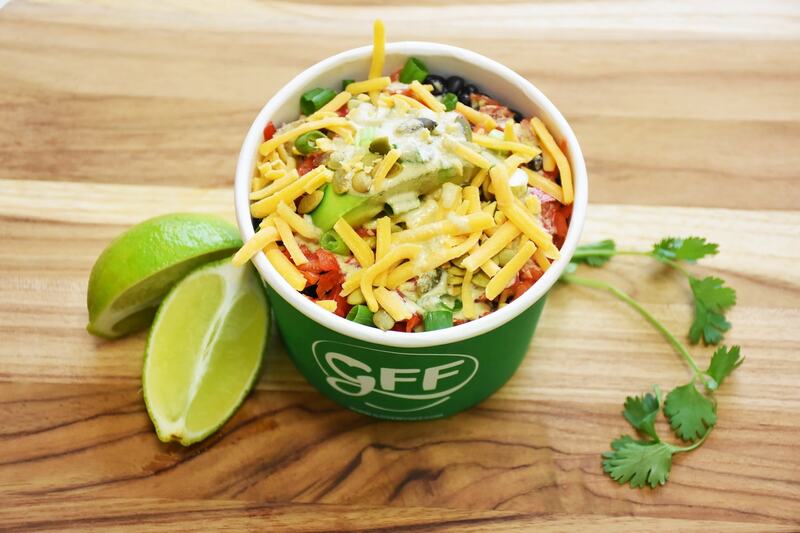 Having grown from one food cart to four, I Love My GFF has successfully done just that, providing a customizable bowl of the freshest, most organic and scrumptious ingredients possible in a medium that caters to the dietary needs of each individual. Also available for catering and at farmers’ markets, I Love My GFF is an option that makes your whole body happy, from your mouth to your heart. Fresh pumpkin scones - 'tis the season! Ten Mercer is where “world-class cuisine meets neighborhood scene.” This upscale venue not only serves up drool-worthy dishes such as wild mushroom risotto and pancetta-wrapped tenderloin fillet, but those are both on the gluten-free menu. A great addition to having a separate gluten-free menu is that it is intended for those who are allergic to gluten—so you know they take it seriously. It also doesn’t hurt that Ten Mercer is recognized for its award-winning wine list, which is definitely gluten-free! This certified gluten-free, peanut-free, and rice-free bakery started in 2011 by selling at farmers’ markets. Since then, it has grown into a brick-and-mortar café that sells wholesale, made-to-order, and is present at seven different farmers’ markets. Most products are also corn- and soy-free, while local, in-season produce and organic ingredients are used where possible. Options are also available for those who eat vegan, dairy-free, egg-free, and grain-free. Head over to explore delicious quiche, sandwiches, bread, cakes, and pastries, all gluten-free, and all served in compostable bags or boxes. Though Capitol Cider is the largest independent cider bar in the nation, it’s actually all about apples in general. Their full bar includes 20 rotating ciders on tap, over 200 ciders in bottles, a variety of cider flights, and apple-based spirits. The 100% gluten-free kitchen uses seasonal, local produce, often including fresh apples, apple cider vinegar, and apple butter. Other than taking advantage of their home in the nation’s number one apple-producing state, Capitol Cider keeps it entertaining with live music and events, involving everything from literature to movies to games. As Washington State’s first dedicated gluten-free brewery, the Ghostfish Brewing Company endeavors to bring gluten-free beer to the forefront of craft brewing. The production facility and taproom kitchen, both of which use traditional methods and non-traditional ingredients, are 100% gluten-free. With the founders being gluten-intolerant themselves (or having loved ones who are), they understand both the demand for gluten-free products as well as the graveness of something as simple as cross-contamination, which is why all the ingredients that enter their facilities are produced in dedicated gluten-free facilities or certified gluten-free. As a gourmet burger joint, Blue Moon Burgers makes their burgers with quality products such as premium Washington Black Angus Beef and 100% vegan black bean patties. They offer gluten-free options with gluten-free buns, gluten-free onion rings, and gluten-free chicken fingers. They go so far as to avoid cross-contamination with two dedicated gluten-free fryers for fries—all of which are prepared fresh in-house daily from whole russet potatoes. Their two other locations are in Fremont and on Capitol Hill. A 35-year-old scratch bakery at Pike Place Market, Cinnamon Works has expanded its offerings from basic cinnamon rolls and giant chocolate chip cookies to a more varied range of delicious pastries, such as muffins and pies. Their baking also accommodates gluten and dairy sensitivities. Options that are gluten-free include, but are certainly not limited to, cinnamon rolls, zucchini muffins, banana bread, pumpkin cookies, and chocolate espresso pies.